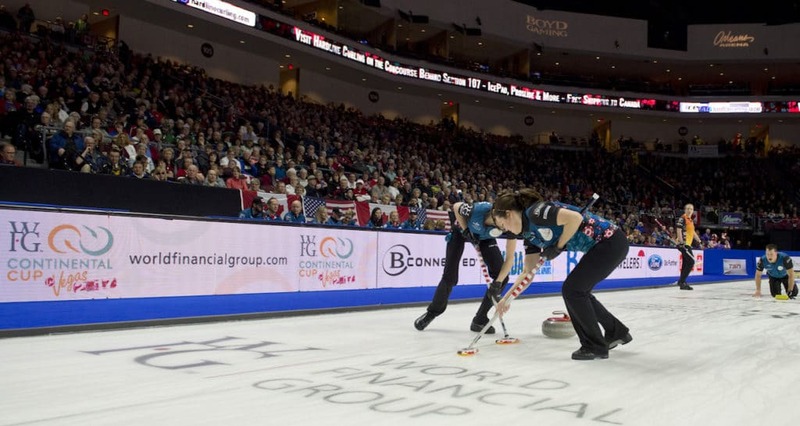 It’s the Entertainment Capital of the World, and once again next January, Las Vegas will transform into the Curling Capital of the World for the 2019 World Financial Group Continental Cup. 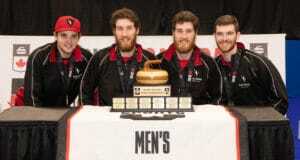 Ever since it was announced last month, during the gold-medal game of the 2018 World Men’s Championship in Las Vegas, the buzz over the 2019 World Financial Group Continental Cup being played at Orleans Arena for the fourth time has been growing to deafening levels. And beginning next Wednesday, fans will have the chance to nail down their seats for the four-day event, scheduled for Jan. 17-20 and featuring many of the world’s best-known curling teams, including Olympic gold-medallists and world champions. The HIT — Your full-event ticket package for just $265 US includes one ticket for the same seat to all 11 draws, plus our popular Ear Bud listening device. The STAY — Our most famous package is based on five nights accommodation for one or two people at the Orleans Hotel and Casino. (Wednesday, Jan. 16 to Sunday, Jan. 20): $534.95 US plus applicable tax, in addition to the $265 for each full-event ticket package. All ticket packages are subject to standard ticket service fees. To book your accommodations just follow the instructions provided on the ticket information page. You can either book online or over the phone DIRECTLY with the host hotel, The Orleans Hotel and Casino, adjacent to the Orleans Arena. For triple or quad accommodation, add $15 US per night per guest, plus applicable tax. All dollar figures are in U.S. currency. IMPORTANT NOTE: If you experience any difficulties trying to purchase your event tickets online, the 2019 WFG Continental Cup HELP LINE is there for you at 775-964-4980. If we don’t answer immediately, just leave a message and we’ll get back to you quickly. Based on the record crowds that always flock to watch curling at Orleans Arena, demand will be high for these packages. The recently completed 2018 World Men’s Championship set an attendance record for curling events staged in the United States, and the arena also hosted the three highest-attended editions of the World Financial Group Continental Cup, in 2014, 2016 and 2017 respectively, with near-sellout crowds all three times. Already, five Olympic teams — including both gold-medal teams, skipped by John Shuster of the United States and Anna Hasselborg of Sweden — have confirmed they’ll participate in curling’s version of the Ryder Cup, as has reigning world men’s champ Niklas Edin of Sweden, who claimed gold in Las Vegas at the 2018 World Men’s Championship. 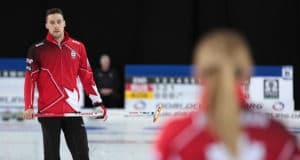 Additionally, both Canadian 2018 Olympic teams, skipped by Calgary’s Kevin Koe and Ottawa’s Rachel Homan respectively — will be participating as Team North America looks to extend its win streak to seven in a row. The rest of the teams, as well as coaches and captains for both sides, will be announced later this off-season. As well, further ticket offers — should they be available, pending the results of the full-event package sales offer — will be announced in the fall. 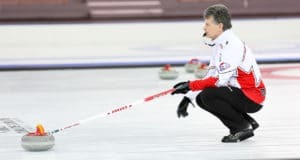 The 2018 edition of the World Financial Group Continental Cup, last January in London, Ont., produced the closest finish in the history of the event. After four days of competition in mixed doubles, traditional team and skins play, the two sides finished dead even, with 30 points apiece. It came down to a draw to the button to decide the championship, and Team North America’s Brad Gushue outdrew Team World’s Thomas Ulsrud.